Recent research suggests that hearing loss can actually have a physical impact on the structure of the brain. The University of Colorado recently conducted research that discovered that the auditory cortex in the brain is not devoted to hearing abilities, as was once believed. Many of us are looking forward to retirement after leading an active and busy life. From childhood, we pursue our academic goals. As young adults, we strive to reach our fullest potential in our respective careers. As middle aged adults, we slowly start to go a bit slower as our children settle down into their own rhythm and we can take it easy as our duties and responsibilities begin to subside. They say love is blind. In some cases, love can also be deaf when it comes to being intimately involved with a person with hearing loss. We all know that love rises above and beyond all sorts of obstacles, and loving a person with hearing loss is no different. Even though your love may be real and unchanging, being in a relationship with someone who has untreated hearing loss can be challenging. When we think of pollution, we think of smog filled skies and choking smoke emitting from factory chimnies. Rarely do we think of noise as a source of pollution, even though it can very well be an invisible culprit that can damage our health. Our hearing is a sense that we often take for granted. The noises we hear each day, be it the humming of the air conditioner or the honking of the horn, appear so natural that we cannot imagine our world without it. Did you know that our world of sound is created thanks to a single, delicate protein known as TMC1? We all love listening to music, but our ears should not have to pay the price for our preferences. Attending music concerts is a very popular activity in USA, with approximately 32 million Americans attending at least a single music concert annually. As fun as music festivals can be, they can also harm our hearing due to the excessively loud noise from the speakers and crowds. Take steps to protect your hearing during these concerts and help prevent hearing loss. We often feel off balance at times, but when it happens more often than not, it may be an indication that we may have hearing loss. Our ears not only help us hear, they also help us stay upright by balancing the amount of fluid within the inner ear. Hearing loss disrupts this balance and can result in serious injuries due to falling. Tinnitus is the ringing sensation in the ears in the absence of any such externally audible stimuli. Various reasons contribute to the onset of tinnitus, and tinnitus is often a symptom of an underlying medical illness or hearing loss. Thankfully, you can simply modify your diet to include more nutritious foods to help combat the negative symptoms of tinnitus. People with hearing loss often feel unsafe due to their inability to hear threatening sounds in their environment. You can easily remedy this situation by firstly getting yourself a pair of hearing aids. Additionally, you can engage in certain safety precautions as recommended in this post. The current health-conscious generation is extremely serious when it comes to their exercise, which is an excellent lifestyle decision. There is no doubt that exercise leads to an enhanced physical and mental health, but people underestimate how noisy gyms can be. Prolonged exposure to loud noises may lead to hearing loss. 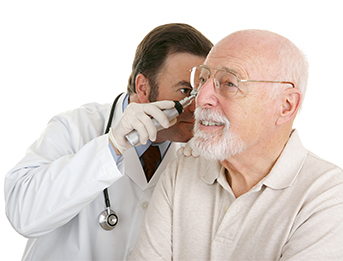 People who obtain new hearing aids often complain about having itchy ears. This issue is fairly common, especially with those users who are wearing hearing aids for the very first time. The ear canal has very delicate skin that is sensitive to even the slightest form of irritation. The constant rubbing of the hearing aids with that delicate skin could be a potential cause for itchy ears. There are steps that can be taken to rectify this minor problem. The brain initially processes information in stages that are collective known as the working memory or short-term memory. The first stage involves sensory input of information, which leads to the second step where this information is either retained momentarily or discarded. The final step involves the storage of the retained information in the long-term memory or permanent removal of the information. People often think that those suffering from hearing loss are the only ones affected by the problem. In reality, those affected by hearing loss are not only the sufferers themselves but also their friends, family and loved ones. People are often exposed to loud noises over a prolonged period of time at certain work environments. This can cause serious damage to the ears and result in hearing loss. In fact, hearing loss is actually the most prevalent form of injuries endured in the workplace. Obtaining hearing aids can be an exciting time. Congratulations, you just took proactive steps towards rectifying your hearing loss. Now it is time to take a step back and slowly relearn your way back into the hearing world. Keeping a positive attitude can help you obtain a smooth transition and ease your adjustment process. Hearing loss is a common phenomenon that is often linked to age-oriented deterioration, which is why many young people may be unwilling to have their hearing tested out of fear of being stigmatized. People with hearing loss may even wait for more than a decade before they finally notice or acknowledge that they have a hearing problem. When it comes to treating hearing loss, hearing tests are an important step towards assessing and diagnosing the extent of hearing impairment. Hearing tests can help in detecting conductive and sensorineural hearing loss, relief from tinnitus, SSD, and other hearing-related concerns. The holidays are a time for travel and exploration. Travel can be hectic and for people with hearing loss it can become difficult. We have put together some tips to make travelling with your hearing aids better. Hearing loss can affect anyone at any point of time. It can be a difficult situation and one that most people around you do not quite understand. People often do not realize or understand the difficulties faced by those individuals with hearing problems, which leads those with hearing difficulties to withdraw and become reclusive. Many individuals do not take into account how hearing loss affects their standard of life until they suffer because of it. Hearing loss can negatively affect your day-to-day activities but digital hearing aids can help mitigate this negative effect so that you can enjoy your regular activities fully. With new and innovative technology hearing aids are now stylish and comfy devices that provide great sound quality and are personalized to each individual's needs. If you or a loved one is dealing with hearing loss you may be looking for answers as to why it happened. It can be comforting to know that you aren't alone and that people of all ages suffer from hearing loss and use hearing aids in their day-to-day life.